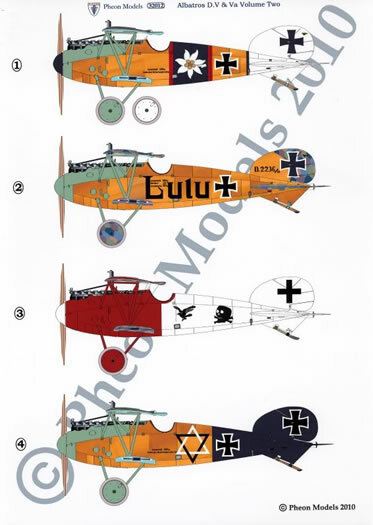 The Albatros DV/DVa kits are probably Wingnut Wings biggest sellers of their eight kits released to date. 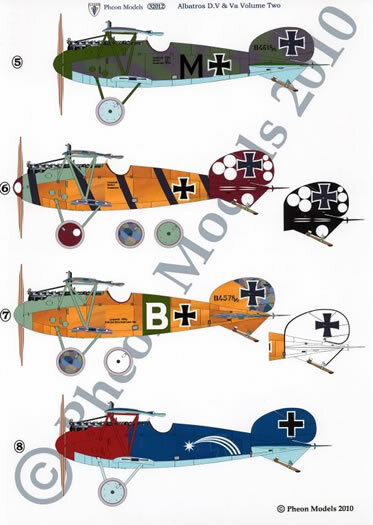 It’s superbly engineered and detailed, and captures the lines of this famous WWI fighter to perfection. 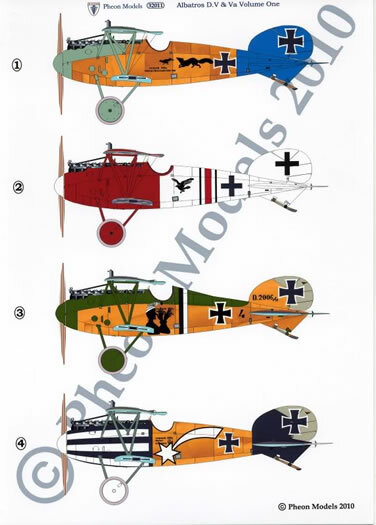 With so many colourful and famous historical markings it is a natural choice for Pheon’s next decal releases. Note the artwork is not yet finalised. 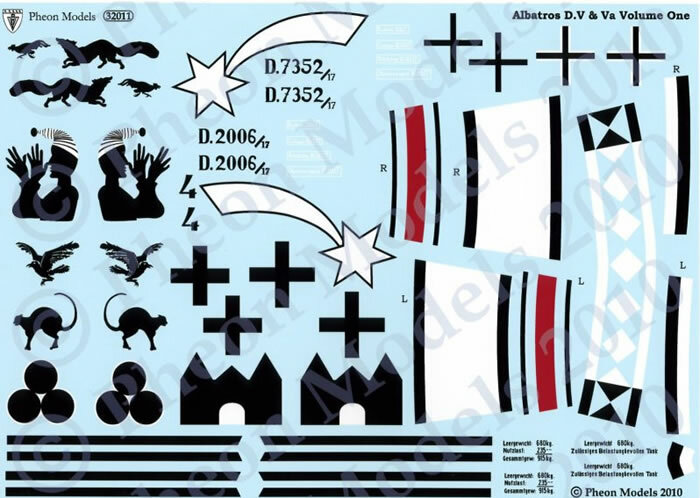 As the Wingnut Wings decals for crosses and various logos are of such good quality, these are not included on the sheets (with a couple of specific exceptions) which helps Pheon keep costs down. Weight tables in both common styles (full and shortened) will be included, however. 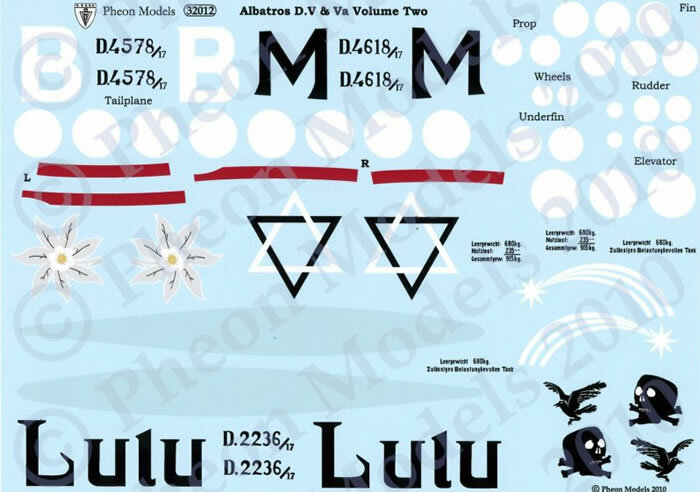 Pheon are taking pre-orders now and the decals are expected to be ready in August. 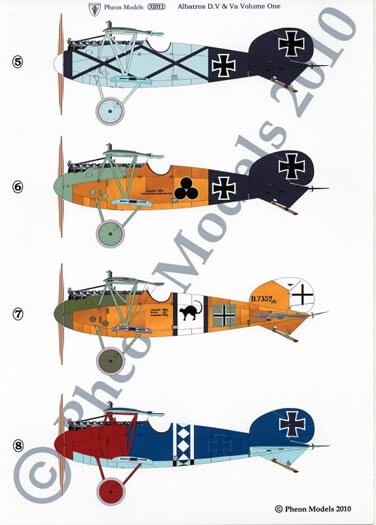 These same markings will be available in 72nd and 48th scales in due course. Pheon are offering a special deal for customers pre-ordering both sets before August 15th 2010: a combined price of £21.00 plus P&P (a saving of £4.50). 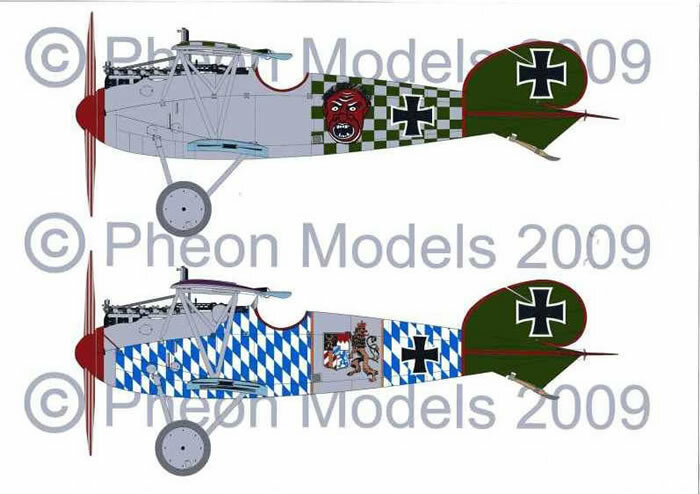 Pheon have two further Albatros markings in development covering a couple of very colourful Jasta 5 aircraft: Rumey’s famous African head with chequered fuselage and wings, and Wolff’s Bavarian Wappenschild with heraldic lion. Prices have not been finalised for these yet.